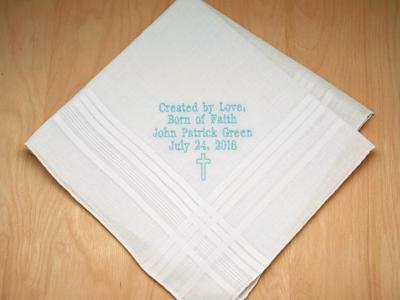 This is the second time I have ordered personalized hankies for my children's weddings. ( we also di..
Beautiful! My cousin loved these. They were delivered very timely, great response from Bumblebee. Mo.. I am very impressed with how nicely this handkerchief turned out and how quickly it arrived! I order..